A large modern chair beautifully designed to accompany the Lusty Lloyd Loom Model 1153/2 2 seater settee and the Model 1153/3 3 seater settee, or as a stand alone piece. 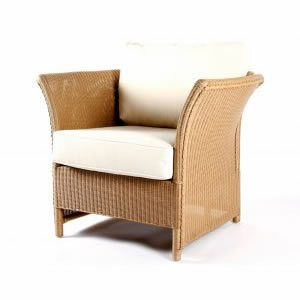 Suitable for the conservatory or living room this elegant chair is equally at home in modern or traditionally designed houses. Designed by Will Lusty 1999.